This is a very short discussion. You already know how to climb. It's natural. You've been doing it since you first learned to walk. We are born with an instinct for climbing. Small children climb chairs to reach the cookie jar, play games of "king of the hill', scale trees, and swing from playground monkey bars. Climbing is natural and instinctive.  What you really want to know is how to climb rock and how to be safe doing it. By far, the best way to learn to climb is to go climbing. Learning to climb requires building on skills and experience. Skills help you climb more difficult challenges and do it safely, while experience helps you assess risks, negotiate them, and prepares you to deal with new situations. So, how do you get started? Find someone to show you the ropes. You can learn from a friend, go to a school, or hire a guide. Study the books listed. Ask questions. Start training. Be persistent, cautiously conservative, and have fun.